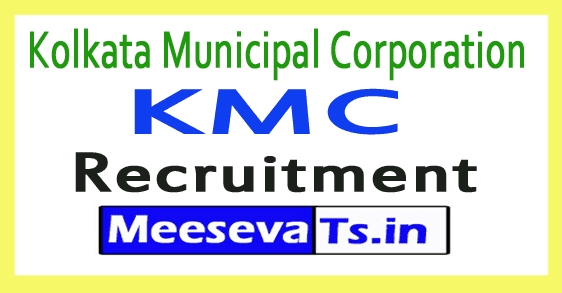 There is good news for candidates here, who is waiting for jobs in the Kolkata Municipal Corporation. KMC has issued the latest job notification for 10 steno-typist job vacancies. Walk-in interviews are being organized for eligible candidates for Steno-Typist posts. Interested and qualified candidates looking for KMC jobs can participate in the walk-in interview with the application, which is to be downloaded through the official website of kmcgov.in. The selected candidates will get 12,000 / - from the organization. Interested and qualified candidates can participate in the walk-in interview at the bottom with the application available on 17.11.2018, official website, kmcgov.in. Participants participating for walk-in-interview need to get original certificates with Xerox copies. Interested and qualified candidates can participate in the walk-in interview at the bottom with the application form, which is available on October 9, 2018, official website, kmcgov.in. Walk-in-interview is required for the competitor to bring the original certificate, with Xerox copies. The decision of competent authority in relation to engagement will be final. Kolkata City Nuhm Society reserves the right to change / amend all the above conditions. may not be longer than 64 years as of 01.01.2018. Interested and eligible applicants may download the required form from the website www.kmcgov.in and send their application form on 22-06-2018 or earlier. The prescribed format along with the photocopy of all relevant documents should be sent to the address below. Municipal Administration Institute (Alakapauri), 36C, Ballygunge County Road, Kolkata 700019.